Nov 10, 2015 All our advisers are fully qualified financial advisers with industry standard qualifications. We ensure that all our advisers are qualified and knowledgeable in order to deliver the very best solutions to our clients. This posting will deal with facts. Mr Reynolds has received a life ban from the UK regulator the Financial Conduct Authority and a personal fine of almost £300,000. Yet where is he now? 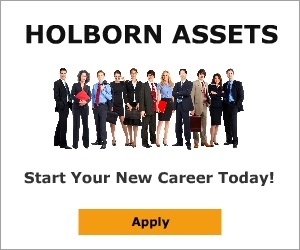 Providing financial advice to foreign nationals in the UAE, working for HOLBORN ASSETS. So why has he been employed in the region. This from Bob Parker, the MD of Holborn Assets, when the story broke - http://www.international-adviser.com/news/1019981/holborn-adviser-uk-ban-unsuitable-ucis-recommendations. This is rubbish. The 'defence' from Mr Parker omits to mention the financial standing of the clients, the poor state of health of some, and the fact that Reynolds was involved in the (alleged / now proven by the FCA) falsification of documents. These serious investigations were underway when Reynolds moved to the region. The appeal lodged to the FCA was withdrawn when he (Reynolds) was employed by Holborn Assets. So why is he still working there. It can only be the case that some firms in the UAE do not look closely enough at new advisers they take on and are quite happy to turn a blind eye to past serious misconduct provided the new adviser (Reynolds in the case) can write large quantities of high commission earnings business. This is only my personal view but given that Mr Parker espouses Christian values what other answer can there be? One final point - Holborn Assets have a UK FCA authorised firm with two offices in the UK. Isnt it interesting that the Parker family resigned as directors shortly before the Reynolds appeal was withdrawn?? UK (and other) expats in the UAE you have been warned to be on your guard. Review #671618 is a subjective opinion of User671618.